A view of the Grand Mosque in Makkah. More than six million pilgrims are due to visit the Kingdom to perform Umrah this year. 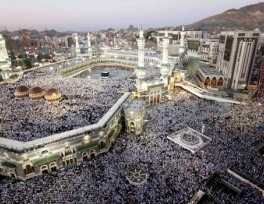 Over six million Umrah pilgrims are expected in Saudi Arabia this year, one million more than last year, said Minister of Haj Bandar bin Mohammed Al-Hajjar, in a statement carried by the Saudi Press Agency yesterday. “The number of Umrah pilgrims is expected to cross the one million mark in the month of Ramadan alone. 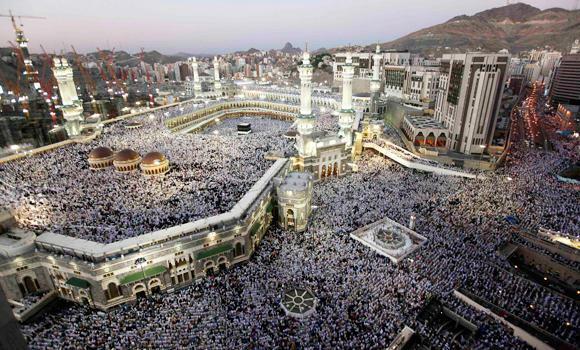 An average of 400,000 pilgrims are arriving every month this season,”said Al-Hajjar. The current Umrah season began on Dec. 14 last year and will last until the end of Ramadan in the first week of August. The ministry has issued more than 1.3 million Umrah visas so far; while 775,000 pilgrims have already arrived in the Kingdom, Al-Hajjar said. There has been a 10 to 20 percent annual increase in the number of pilgrims over the past few years, he said. The minister said the most Umrah visas were issued in Egypt, Pakistan and Algeria, based on reports from Saudi missions in more than 70 countries. Umrah applications are processed with the help of an integrated digital system, he said. “The ministry, with the help of the digitized system and field inspectors, is monitoring all services offered to pilgrims to ensure they get speedy and excellent services specified in their packages,”Al-Hajjar said. The ministry is also supervising and inspecting locations where companies in Makkah, Madinah and Jeddah provide Umrah services. The ministry also accepts complaints from pilgrims if they have any, he said. The minister stressed the need for Umrah companies to stick to the agreements they sign with their clients. The ministry’s inspection teams will report defaulting companies and take action against them, he warned. The minister dismissed reports that the expansion of the mataf, the area to circumambulate around the Kaaba, would reduce the number of pilgrims this year. The minister said the massive multi-billion riyal expansions underway in Makkah and Madinah are to ensure maximum comfort and safety for pilgrims and visitors. The ministry is coordinating efforts with other departments and agencies to conduct studies and generate new ideas to offer better services. “The ministry is keen to minimize the practice of pilgrims squatting in the courtyards of the two holy mosques and nearby areas this year,”the minister said. He added that the ministry is working with the Interior and Foreign ministries to end the practice of some pilgrims not leaving the country after their pilgrimage. How to unite the Islamic Ummah? ?